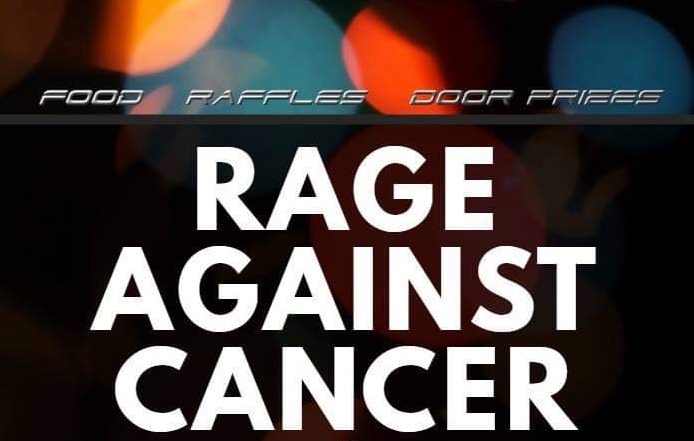 Miss Teen North Carolina United States is hosting Rage Against Cancer at The Rage Room on Saturday, April 6th, 2019 from 2-6pm, with all proceeds benefiting Cindy’s Hope Chest! Join us at The Rage Room right behind Farmhouse Chic on Independence Blvd. 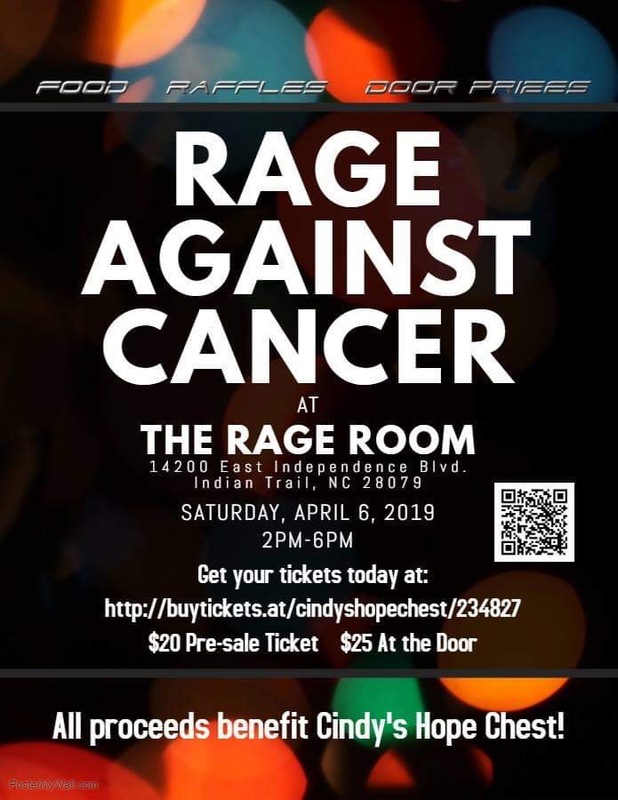 on Saturday, April 6th, 2019 as we “Rage Against Cancer“! Tickets are $25 at the door or $20 in advance and will include food and 3 bottles to destroy. 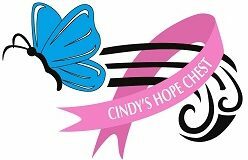 All cancer survivors (no matter what type) will get 3 extra bottles to throw!